Co-ed regional teams will go head to head, featuring the world’s best surfers from the WSL tour. February 28, 2018. The World Surf League (WSL) announced on Monday, the Founders’ Cup of Surfing presented by Michelob ULTRA Pure Gold. The event will be held May 5 -6 at Kelly’s Surf Ranch in Leemore, California. This competition format will be different than any that we’ve seen before. Using a team structure divided into five separate regions- USA, Brazil, Australia, Europe, and World. Each of the five teams are made up of men and women taken from the WSL Championship tour. As well, every team will have their own respective captains. Alongside the event, the Surf Ranch will host a festival that encompasses the culture of surfing, food, music, and art. “This technology has captured the imagination of the global surfing community and created a number of new opportunities for the WSL.”- Sophie Goldschmidt, WSL CEO. Ever since Kelly’s wave in Leemore was revealed it has been noted as the best wave pool in the world. This 700-yard long, fast, barreling wave features turn sections as well as both a right and a left. 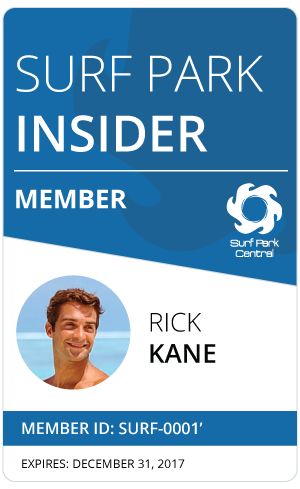 The wave pool has only seen elite professional surfers, friends of Kelly’s and industry folk invited to surf. With the help of Kelly and all of the WSL surfers that have tested it over the last two years, they’ve dialed it in substantially. Last September a test event was run, “The WSL Future Classic”. Proving to the surfing community/industry that a successful event can be run at a location far from the ocean. This event will be different. Featuring the men and women competing alongside one another in this team format. Each team gets three men and three women from each region. These five-person teams will battle it out over the two day contest period, May 5-6. Kelly Slater (USA), 11 WSL Men’s Champion, will steer the ship for the US. Kelly recently had his foot re-opened to remove the hardware from the injury he suffered at J-Bay last year. He plans on being ready to surf in the event. Stephanie Gilmore (AUS), six-time WSL Women’s Champion will guide Australia. Steph has been one of the most exciting surfers to watch at the surf ranch over the last year or so. She will be a pleasure to watch as she gracefully styles her way through the event. Jordy Smith (ZAF), Veteran WSL competitor and world-renowned power surfer, will lead the World Team. The World Team consist of surfers from various countries. Since some countries don’t have enough surfers to complete their own team, they have more options. Johanne Defay (FRA), current number nine on the WSL Championship Tour, will guide Team Europe. Defay has always been a standout from the continent. She’s shown what she can do in a pool at KSWC as well as at “The Cove” in Spain. Gabriel Medina (BRA), 2014 WSL Men’s Champion will lead for Brazil. Medina came out victorious last year at the KSWC Future Classic Event and surely is hoping to lead his South American compañeros / companheiros to a victory in Leemore. The Founders’ Cup of Surfing presented by Michelob ULTRA Pure Gold will be held from May 5 – 6, 2018 at Kelly Slater’s Surf Ranch in Leemore, California. Viewing will be available on the WSL’s stream. Admission is not free, however, if you’d attend the event, you can sign up for pre-sale here. The Surf Ranch open will be another event held in Leemore. Details on this event will follow.